This Saturday, April 7, 2012, was the 82nd Annual Blessing of the Animals at the El Pueblo Historical Monument in the Old Plaza, Los Angeles, CA. Archbishop Jose Gomez presided. Colorful ribbons & bows were given out to adorn all the pets. The event started at 2:00 p.m. and it was a full house of animals and their owners. A Cow is the first animal to be sprinkled with holy water. Farm animals are the first to be blessed, followed by pets. The animals include Cows, Alpaca, Horses, Miniature Horse, Goats, Sheep, Chickens, Snakes, Rabbits, Lizards, Turtles, Fish, Dogs, and Cats. Many of the animals are in costume so it is like a big Easter Parade. Later there was traditional dancing by groups of talented children and some Peruvian Dancers. Everyone stayed around and had a great time. Many did some shopping at the famous Olvera Street and were entertained by musical dancers. I had an early dinner at one of the oldest restaurants in Los Angeles, Casa La Golondrina. Please call (213) 625-7074 or (213) 485-8372, 125 Paseo de la Plaza, Los Angeles, CA 90012. These pictures were taken in Los Angeles, CA by Kristin Hamilton. 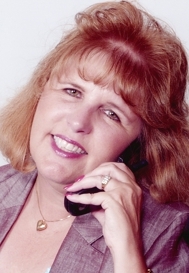 If you are looking for a professional agent in San Bernardino/ Riverside Counties, I am just a click away. Google me at Kristin Hamilton-Real Estate. Homeowners and Buyers both will find my services top notch and successful.